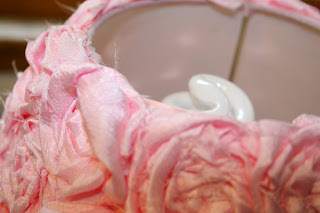 After posting the rosette lamp and a few other rosette crafts, I had a friend ask...how do you make those rosettes? There are quite a few tutorials out there and many ways to make them, but this is my version. 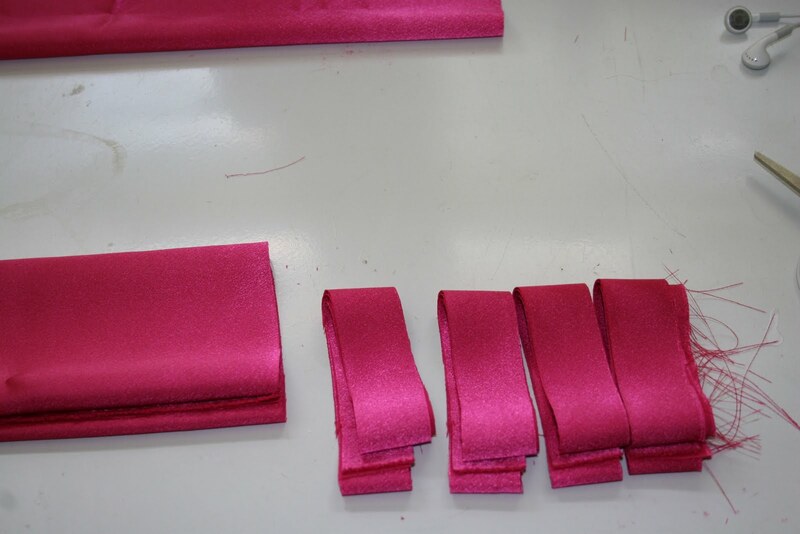 1 to 2 inch wide strips of fabric. The length is dependent on how large you want your rosette to be. 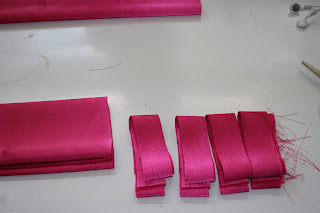 I tend to start with 10" long strips and can add additional strips as I need them. (20 inches long, will make about a 2 inch diameter rosette), needle, and thread. 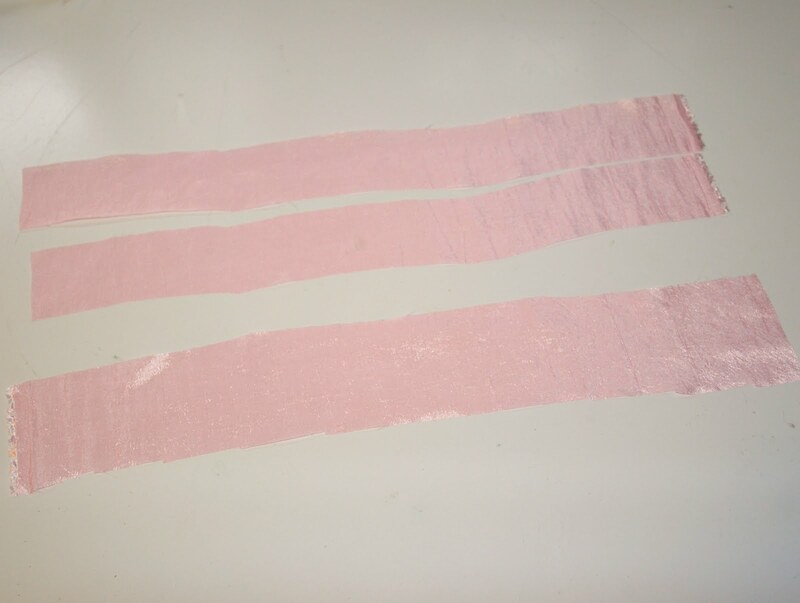 You will notice that the fabric strips do not have to be exactly the same size. Also, I like the way the frayed edges look. 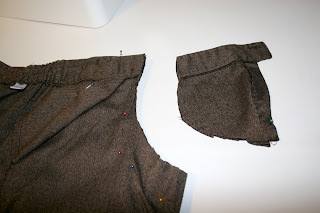 If you prefer a more finished look you could stitch the sections and turn them to make the seam hidden and all finished sides. 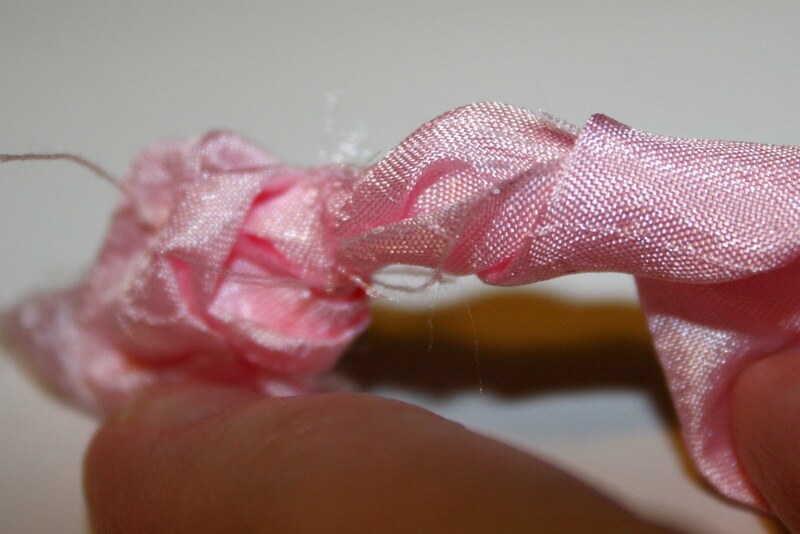 Begin by tying one end into a knot. It can be loose or tight depending on how you want your rosette to look. I like the way it looks when I start with a loose knot. Play with it until you find what you prefer. Start your stitches. I run one stitch through the knot and then start twisting my fabric around the knot. Twist as you go and wrap around the original knot. Continue twisting and wrapping. Remember to add a stitch every so often. 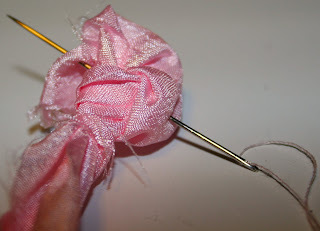 The more stiches, the sturdier your rosette. 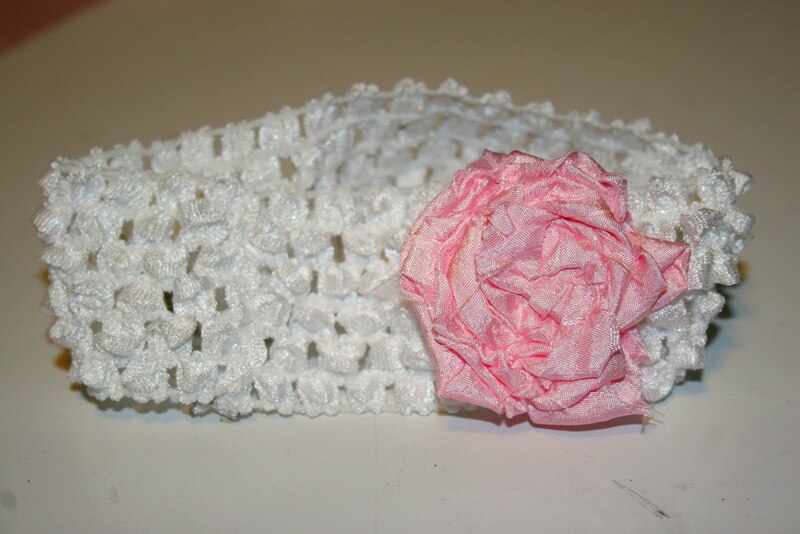 If you plan to use as a hairbow or on a headband, you will definitely want to use extra stiches. If you plan to attach to something more permanent, you can get a way with less. 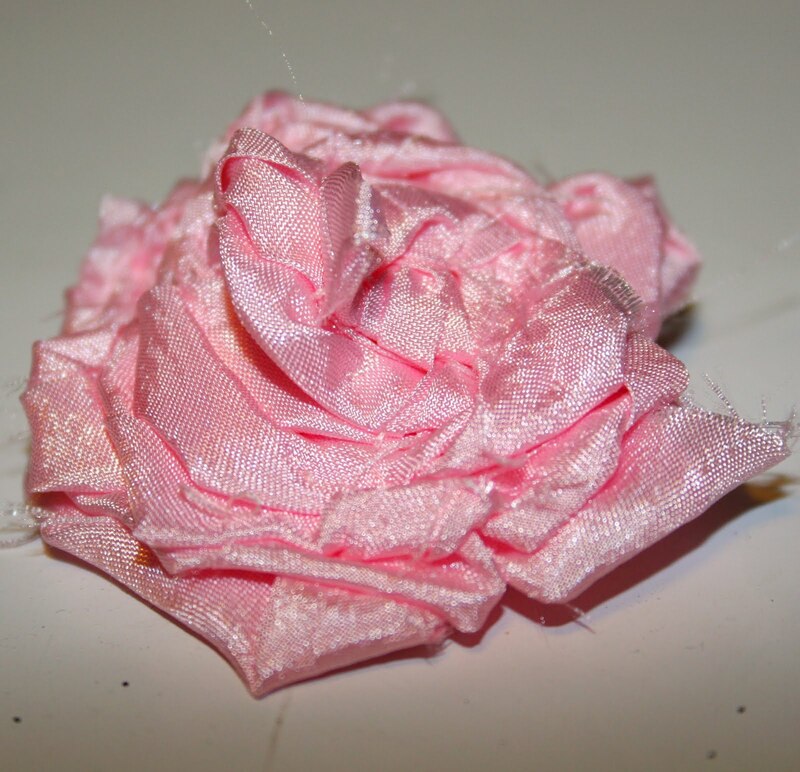 Here is the rosette after about 20 inches of fabric. I could stop here, but I want to make it a little larger. This is after another 10 inches. Looks good to me. 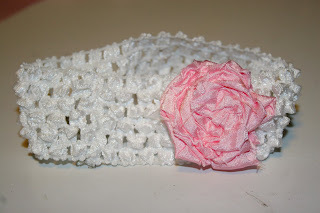 It looks so pretty attached to a baby crocheted headband. But, it can easily be made into a hairclip. Just cut a circle of felt, a little smaller than the rosette. 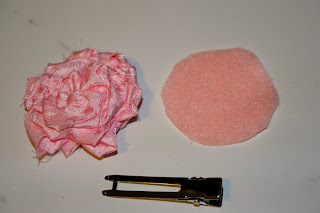 Put a good amount of hot glue on the felt and stick on your rosette. 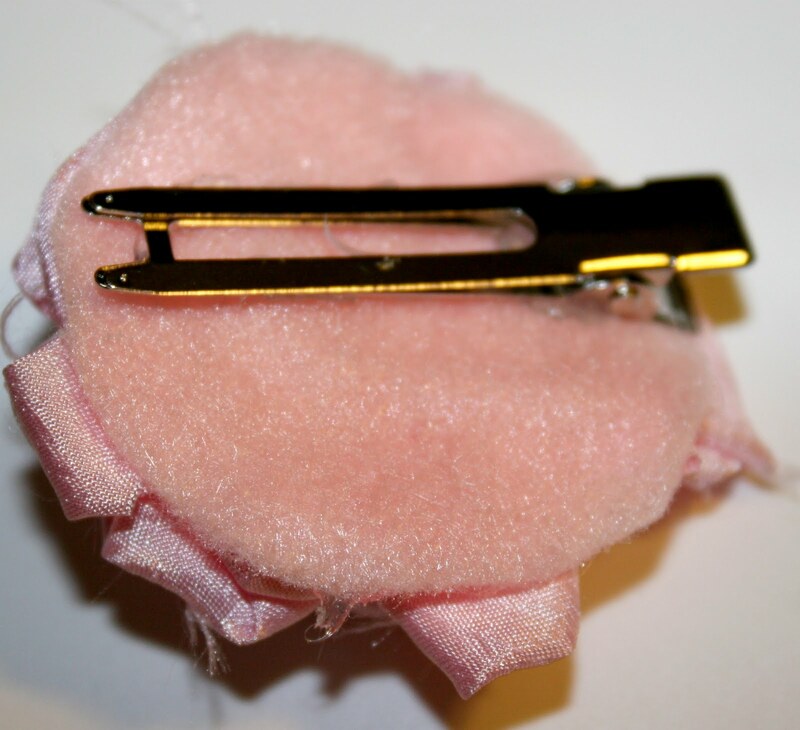 Attach your alligator clip with hot glue and you have a cute hairbow. Let me know if you have any questions or need more explanation. I'm so honored! My Pottery Barn knockoff lamp was featured on Homebody! Click over to see Holly's awesome blog! When I went back to Pottery Barn to find it, I couldn't find that version anymore, but did find a slightly less expensive version at $99.00. Hubby still wouldn't go for it! 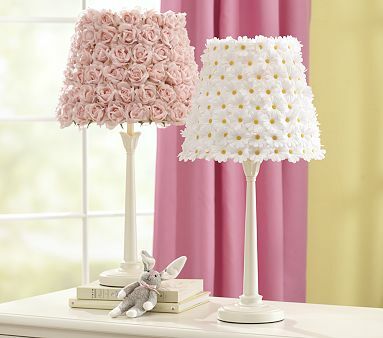 Wouldn't it just be perfect in a sweet little baby girl's nursery? Yep, I thought so too! Why doesn't the hubby see it my way! Ugh!!! Lamp shade: $2.99, lamp base: $3.99. Half off Saturday makes the total: $3.50! Score!!!! The mechanical part was a little loose, but Hubby said he could fix it and if it didn't work could buy the replacement parts at Lowe's for just a few dollars. Luckily, he was able to tighten it down and it works!!! 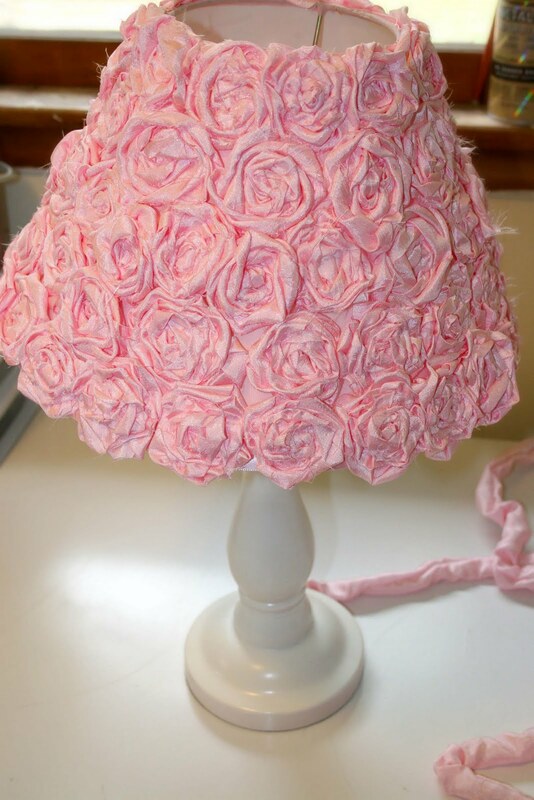 It's a cute lamp to begin with, but I knew I could make it better. First, I had to remove the little rosettes. 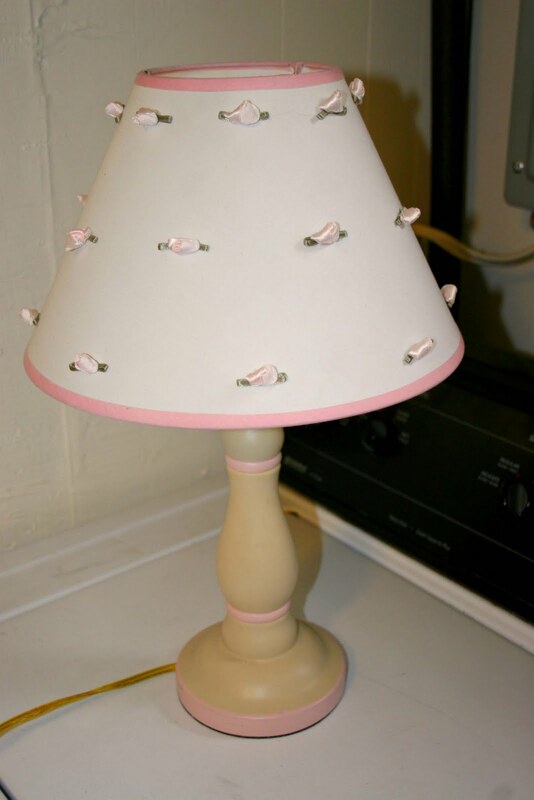 I don't know if they were professionally glued on or if someone tried to do a lamp makeover, but those suckers didn't want to come off. I finally gave in to leaving the glue behind. I knew it wouldn't be seen. 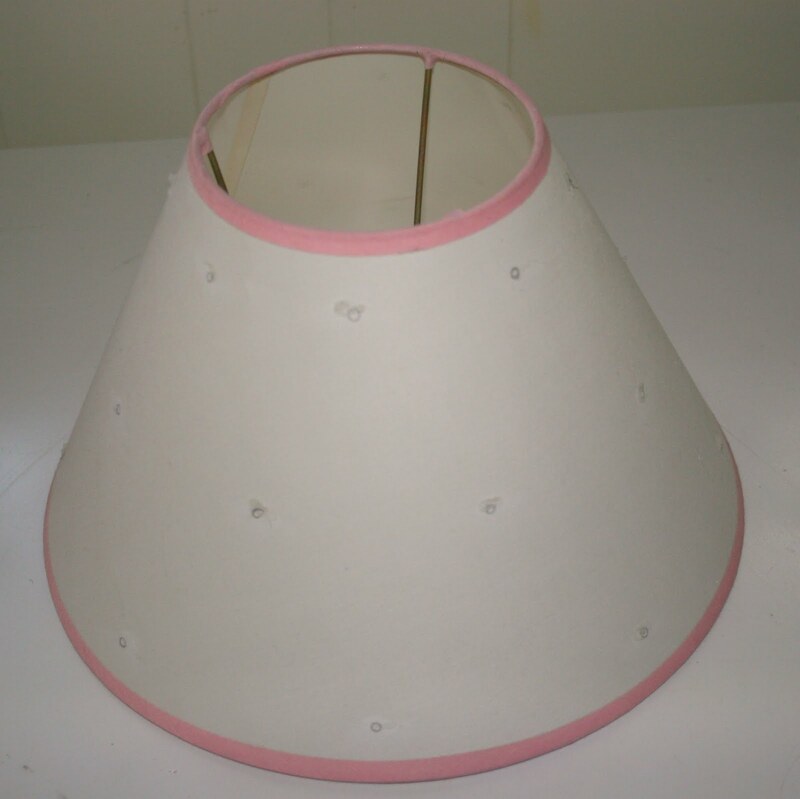 Cover it with pink material. 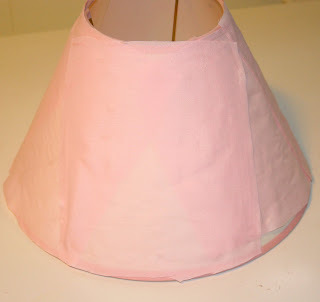 (I just used a light pink cotton lining material. I only needed it for the areas where the new rosettes wouldn't cover.) 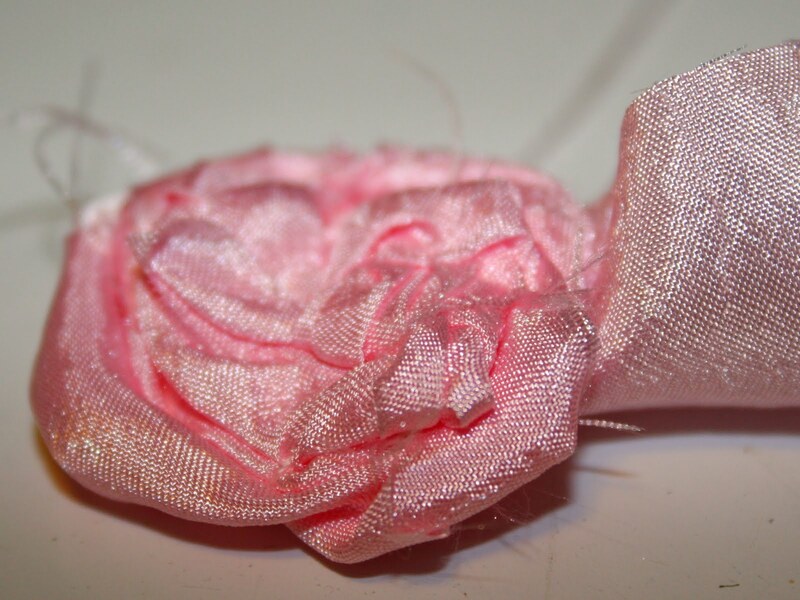 I also ran a piece of pink satin ribbon along the top and bottom to clean up those areas. 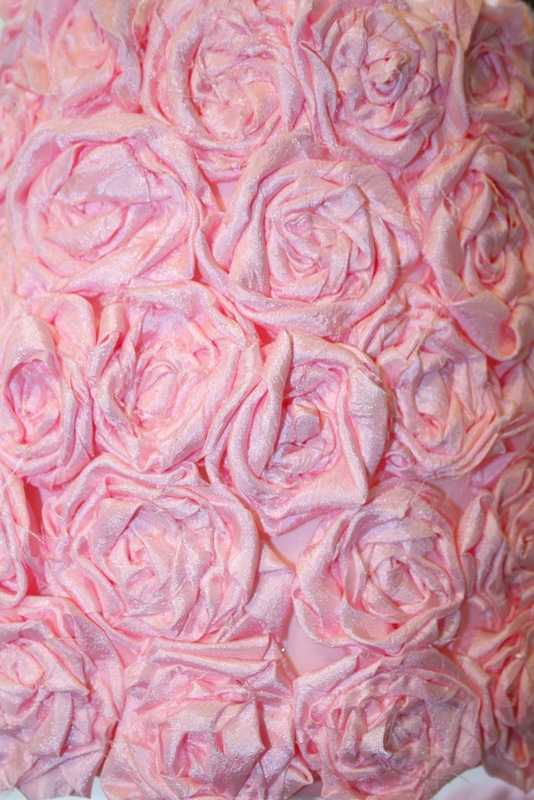 Remember, it doesn't have to be perfect the rosettes will cover it. I forgot to take a pic with the ribbon. After I made, what felt like a million rosettes, I started gluing them on. How many you need will depend on your lamp shade and the size of the rosettes. Even though I cut all the fabric strips 1 1/2" by 30" they came out in different sizes. That's fine, it actually helped cover the lampshade better. No I didn't count the final amount of rosettes, but I can say I ended up using about 3 yards of fabric!!! To glue them on, I just used my glue gun and glue sticks. I put a medium size glob of glue in the center of the rosette and then placed it where I wanted. Holding it down for a few minutes til it set. I didn't glue the outside edges of the rosettes, because I was going for a puffy look. 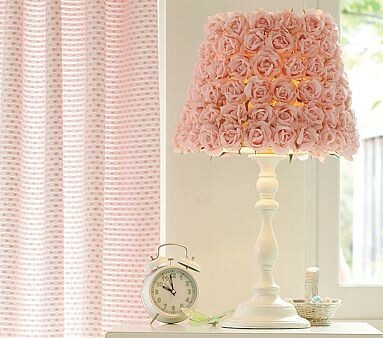 If you look closely in this pic, you can see the pink ribbon around the top of the lampshade. 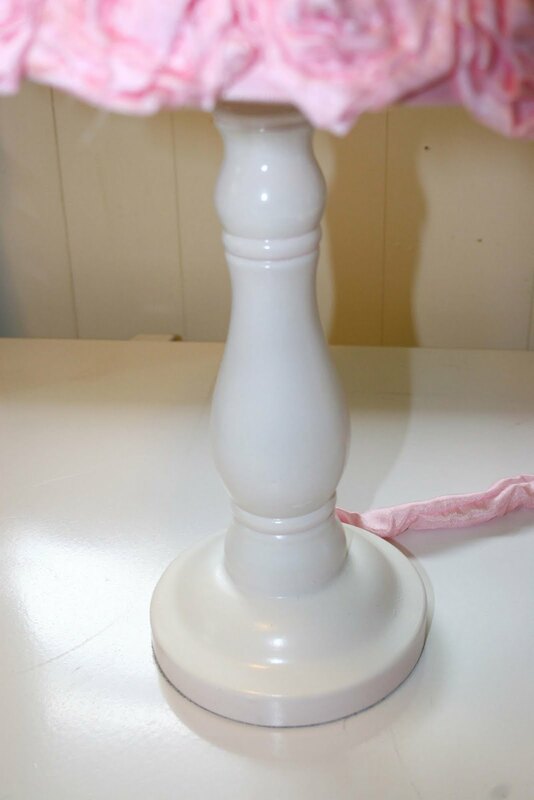 I forgot to mention..I painted the base of the lamp with a white gloss paint before I started on the shade. It's much better than the yucky yellow color it was before. Here she is in all her glory! 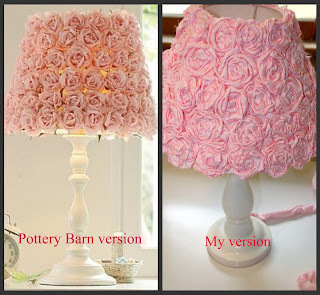 I think I love it better than the original Pottery Barn version! Since the cord was a ugly yellow see through thing, I covered it with a cord cover. 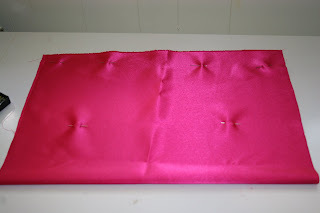 One thought on making those...make sure you cut your fabric wide enough to go over the plug end! I thought I had it wide enough, but when I finished sewing all 70 inches, and turning it right side out...it wasn't long enough. Luckily, I was at the point where Hubby was working on the mechanical parts, so he just took the wire out of the lamp and let me put the cord cover on, then put the wire back in. Have I told you lately how much I LOVE the Hubby? I'm partying with Holly at Homebody today. Click over to see other knockoffs. Also linking up with The Girl Creative. Click over to see what other's whipped up! As you know, we're expecting. I'm 26 weeks, so regular clothes don't really fit anymore. I thought I'd try my hand and converting a pair of my work slacks into maternity pants. Turn the pants inside out. Find the center and fold. You want the middle of the back to be on one side and the front closure on the other. (See pic.) 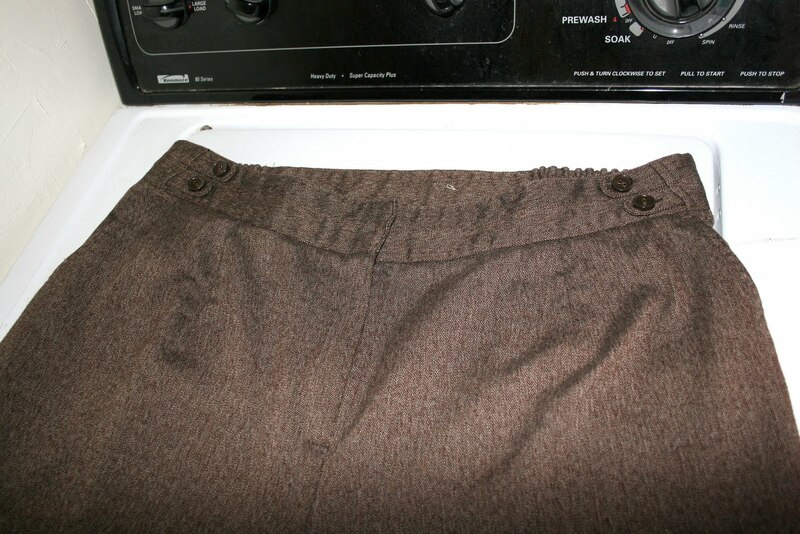 Pin the pants together at the top, so they won't separate or slide around. Then pin down at a curve to just below the zipper. When these pants are on, the zipper falls at the bottom of my maternity shirts. If your zipper is longer, you may want to sew the zipper section shut and then cut where you want the bottom of your maternity band to hit. Cut along where you pinned. I actually cut a little above where I pinned, because I didn't want to cut to much. You can always cut more if you need to. 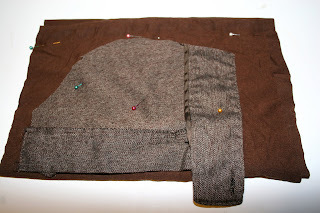 Using a jersey fabric, or another stretchy fabric, lay your cut out section on the fold and pin. You want to make sure you fold your fabric in half and make sure the cut section is near the fold. I move it back about a 1/2" to allow for the seam. When you cut, make sure to give yourself a 1/4" to 1/2" seam allowance, all the way around. 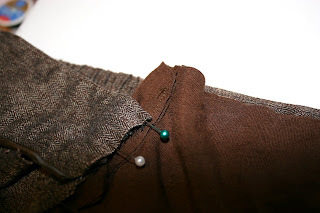 Unfold your section and pin back into your pants. The pants should still be inside out. Make sure you leave an area at the top to fold over for a finished top seam. 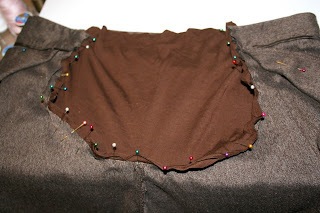 Sew around the pinned section and sew down your top seam. At this point I tried on the pants to make sure they fit. 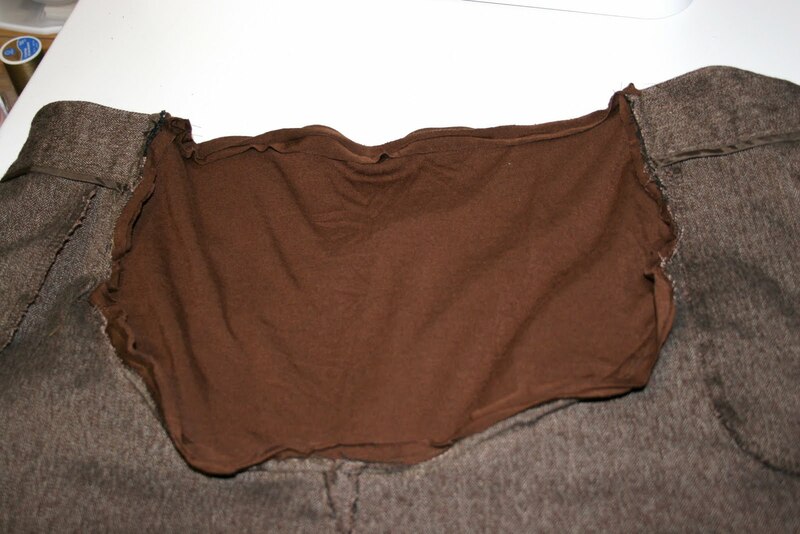 When thy did, I sewed a section seam around the new section to secure it. You could serge the seam to make it look more finished. Since no one was going to see this, other than you and me, I didn't feel the need to take that extra step. Turn your pants back right side out and admire your handy work. 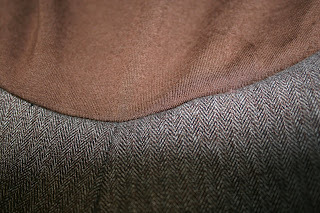 Here's a close up of the seam. Now that you can convert your pants, you should be able to convert shorts, skirts, etc... Happy sewing! My daughter told me she wanted to redo her room recently. She wants to go with a Paris theme. We started looked on the web for ideas. 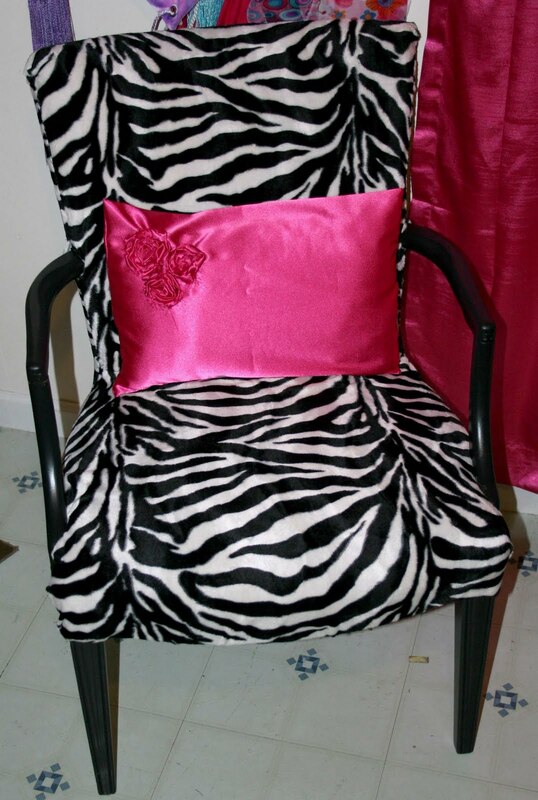 She picked out zebra print and hot pink as her colors. Since we wanted to do the refab on the cheap, I decided to use an old chair we had and redo it. 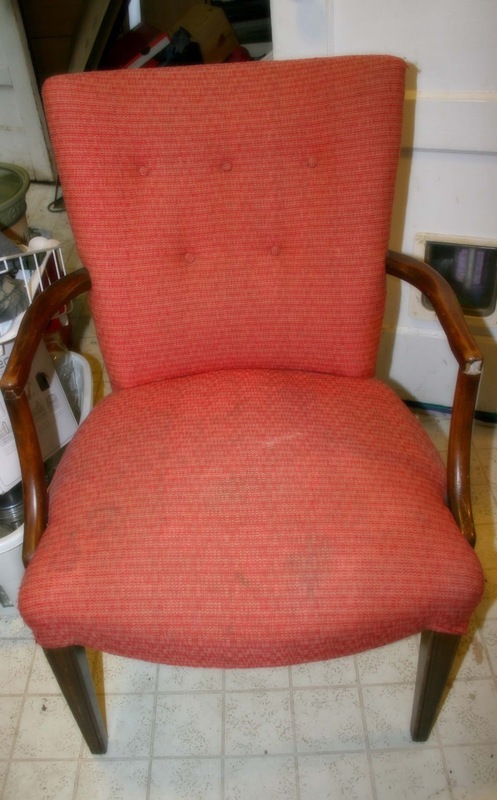 The chair was a $4.00 find at a local thrift store. $4.00 people! The finished chair looks exactly like some I found online for HUNDREDs more!!!! It's been sitting in my office, just waiting for the right makeover....about 3 years! LOL! I'm not even going to attempt to do a tutorial on how I recovered it, but basically I painted the arms and legs with Valspar satin black. 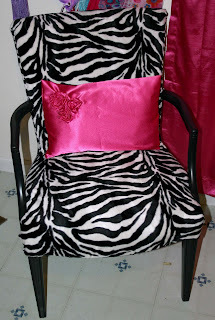 Used a plush microfiber zebra print fabric, purchased at JoAnn's, to cover it. I basically draped, cut, glued and sewed until all the old orange fabric was covered. The cushions were in great condition, so I felt no need to remove them. 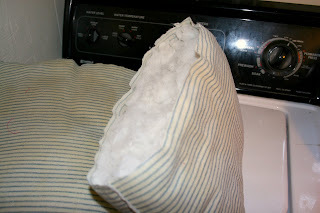 The pillow on the other hand, I will explain how I made it. Measured a section, to a size the daughter and I liked, and started cutting. 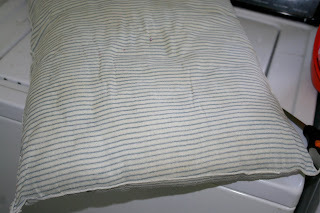 Using a whip stitch, I sewed the end of the pillow back together. This hot pink satin fabric was also purchased at JoAnn's. 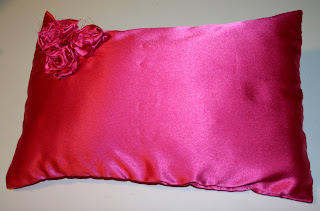 I measured the pillow and cut the fabric large enough to fit around the pillow, plus a 1/2" for a seam allowance. Sewed 3 sides closed and put the "pillow" inside. 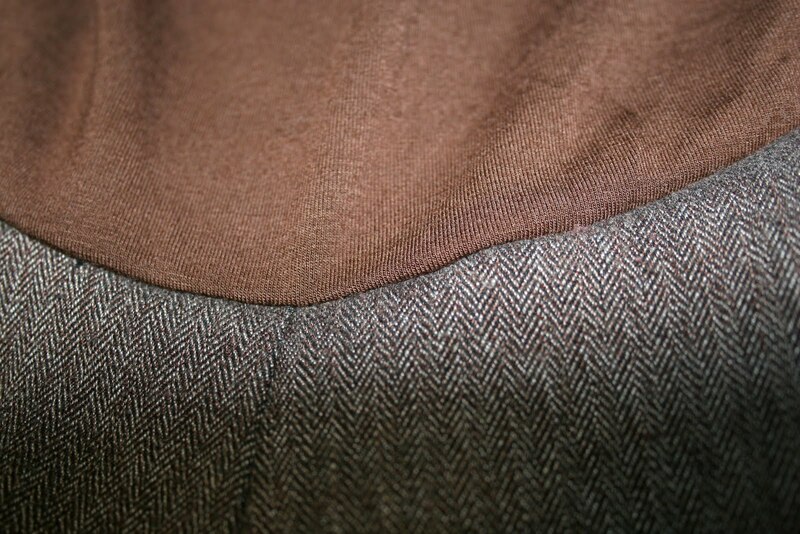 Using a hidden stitch, I closed the 4th side. 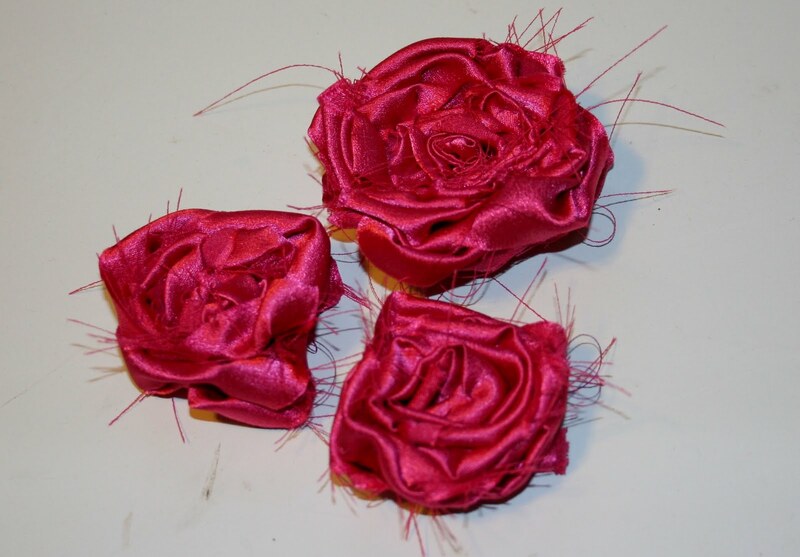 I then cut 1 inch strips of the same hot pink fabric and created rosettes. 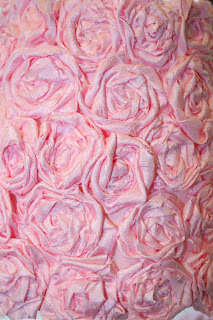 For the larger rosette I used 2 strips of fabric. For the smaller ones, I only used one strip. You can find tutorials all over YouTube explaining how to make these rosettes. However, if you'd like me to post a tutorial, just let me know. I attached the rosettes by sewing them on. You could use hot glue, but since this was going in a 12 year old's bedroom, I figured they needed the extra strength. I'm actually a little jealous. I am in love with this chair! Think I may have to make something similar for my bedroom. Hmmmm???? I've been searching for baby projects ever since I found out I was having another girl! I have quite a few saved on my camera, but I came across one today that I just had to make right then! Using the fabric from this old shirt of my older daughter. She outgrew it a couple years ago, but I just loved the material. I cut 4 strips, about an inch wide from the bottom of the shirt. Here's my trusty Distinctive ruffler foot. LUV it!!! 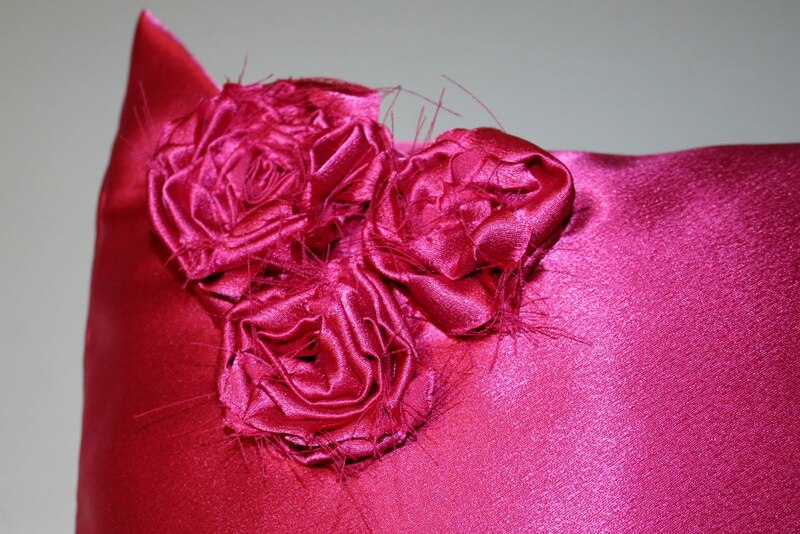 I made the three ruffles in about 15 seconds, but if you don't have one you can always ruffle your fabric by hand. Jessa tells you how on her blog. Just click the link above! I made 3 strips of ruffled fabric. 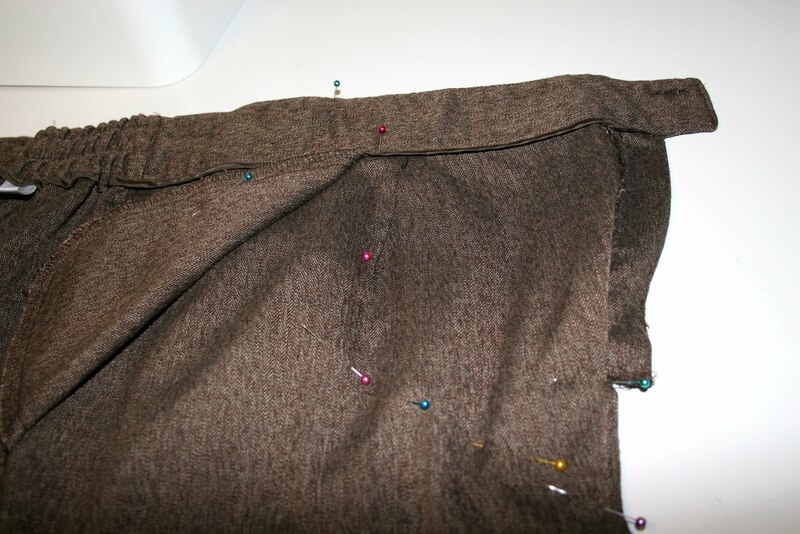 Then sewed 3 of the strips to the bum. The last strip I used to make a rolled flower and sewed to the neckline. 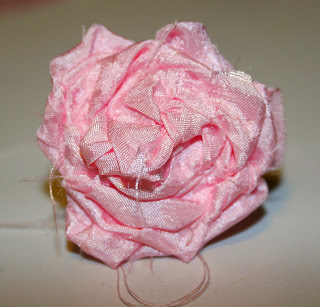 You can Google a rolled fabric flower and find all kinds of tutorials. I basically figured it out on my own. It's super easy! I love how it turned out! I am excited to see our sweet Scarlett wearing it! Of course I had to make the older daughter something too. 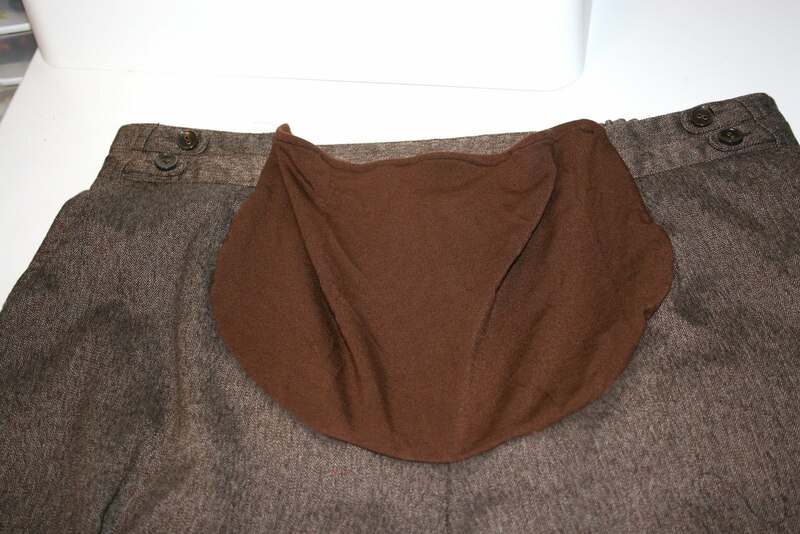 I used the very bottom edge of the old shirt to make a ruffle around her new skirt. (Do you have a pair of jeans that still fit in the waist, but too short in length? Cut them off and make a skirt!) It turned out super cute as well. I think I may have to put my two girls in their matching outfits and take a pic....hmmmm? I still have some of the old shirt left. 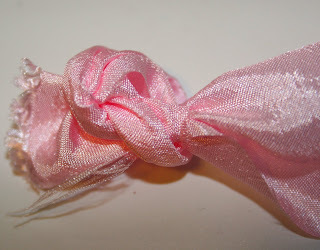 I think I'll make a matching hair bow for Scarlett...not sure what else. 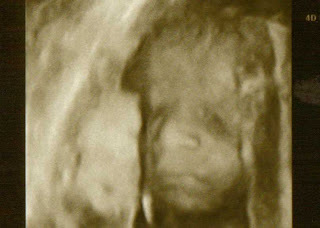 Just 13 weeks +/- till we meet our little sweetness! I know I have been bad not updating on here, but a little surprise is kicking my booty! We found out in January that after over 10 years of wishing, hoping, and praying we finally are expecting a second child! The first four months of this pregnancy was horrible because of morning sickness. The last 2 months have been better, but I'm still exhausted. Even with all that, I have been working on quite a few projects. Now that I'm getting my energy back, I'll be posting again. Be looking for handmade crib and bassinet bedding. Lamp makeovers, room decor, etc... Lots of fun posts and tutorials coming your way.